Wedding at Molino del Arco, Ronda, Malaga. Megan and Adam got married at Molino del Arco, Ronda, one of Malaga’s most beautiful white villages, surrounded by mountains. 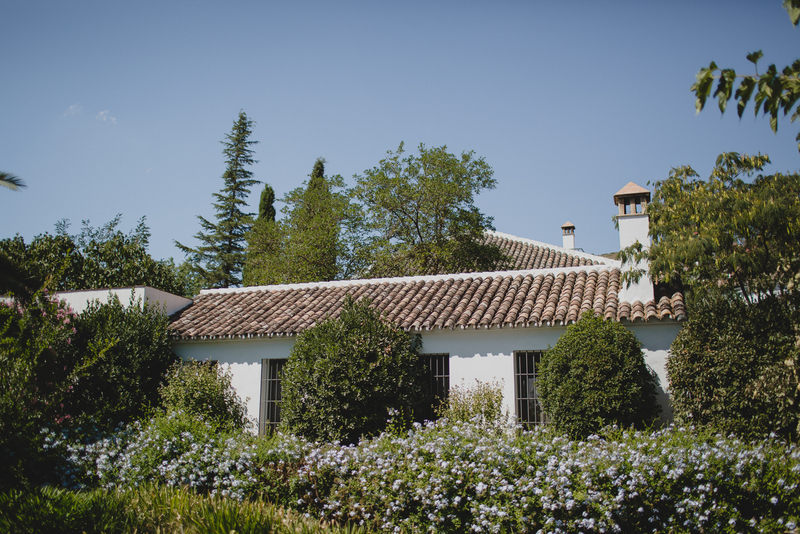 The couple chose to have their wedding at an incredible villa called ‘ Molino del Arco’, which itself is located in the Ronda mountain range, reached by passing through a magical, rustic track that is full of olive trees and vineyards. On arrival, Megan greeted me with the most wonderful, beaming smile and although the first time I’d met her, from that moment on, I knew she was a delight and that everything would go perfectly. The maids of honor took me around the different areas in which the day was going to unfold. Each of these places was beautiful and had such a special, rustic and welcoming feel to them. I took advantage of the opportunity to take the kind of spontaneous photos I so love by taking some shots in the swimming pool, where the wedding guests were cooling off and enjoying themselves. We then did the photos of the bride and groom getting ready for the wedding, after which the ceremony began. The civil ceremony took place in a gorgeous part of the estate, amongst beautiful trees and just in front of a fountain, and everything was simply and originally decorated. The wedding was truly stunning and finished with a magical dance by the couple, amongst sparklers.I commended the couple for their choice of wedding location, because whilst I have been to many beautiful hotels in Ronda, especially so due to working as a wedding photographer, which always sees me discovering incredible unknown places, this was the first time I had ever been to the Molino Del Arco hotel. It really is a special place (it was an old mill in the 18th century) and certainly has that olden day charm to it. We wanted a wedding in the country at a venue which had a lot of charm. A simple, elegant wedding with an informal touch which encompassed our personalities. We did all of the planning and our hard work paid off on the day. We chose David de Biasi as our photographer in Malaga as we loved his style as He produces beautiful, natural shots which capture the story perfectly. By David de Biasi, wedding photographer in Ronda, Andalusia and Spain.